Today’s my last day at my job! It feels like the last day of school — all giddyness and no responsibility. I’m getting a little work done, then hoping to be able to slip out before 5 o’clock, but we’ll see. Rumor has it that they take your computer and make you wait it out. I brought reinforcement, so don’t worry. I finished The Last Werewolf yesterday on the train, and it was a magnificent read. Excited to gather my thoughts and get a review up. 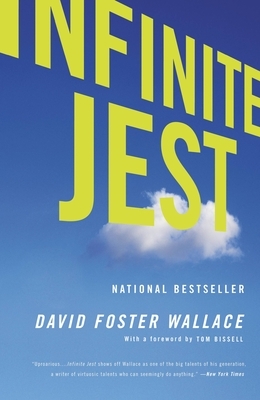 I’m diving into David Foster Wallace’s Infinite Jest today, so hopefully I’ll still be breathing come tomorrow. I’ll be without a computer for about a week or until I bite the bullet and buy one, so things may get a little quiet around here. I’ll be back as soon as I can, hopefully with a review! If you’re wondering how the Boston Book Festival went this past Saturday, it was kind of a dud. It was my own fault for a late start and poor planning. We browsed the tents, went to the wrong event then went to the correct event, which by that point had been deemed at capacity. After that we browsed the Google book tent and waited for the Local Talent reading at the Old Trinity Church. Let me tell you, this event was worth waiting for and pretty much redeemed the day for me. Steve Almond, Laura Harrington, and Michael Klein read from their forthcoming or already released projects. They were each funny and personable, and the Q&A session at the end was laid back and informative. I wrote about the experience for TNGG Boston, a Boston.com blog that I write for along with other 20-somethings. So, if you’re interested, check out the three lessons I learned as a young writer at the Boston Book Festival. 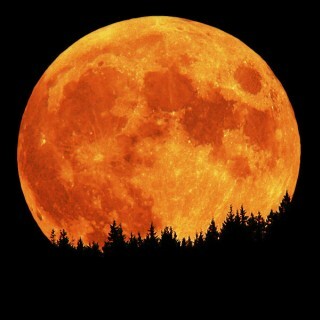 I like a book about werewolves. All jokes aside, it’s a great reminder that topic and genre really have nothing to do with the quality of a book. It’s the writer’s capacity for life, for imagination, and for language. And let me tell you, Duncan’s capacity exceeds expectation. What books have broken stereotypes or lived beyond your expectations lately? Update: After posting this link to Facebook, a friend shared a link to this article — How Zombies and Superheroes Conquered Highbrow Fiction. I’ll be honest – it was the cover of Leah Hager Cohen’s The Grief of Others that made me pick it up off the library display table. It looked like the cover on some movie, which is usually a deterrent, but there was something eerie but welcoming about this one. I mean look at it, you want to enter but you know there’s a chance you might never leave. Having read the book now, it’s funny that that was my initial reaction. Characters are drawn to this house, as I was to its image. As though Lady Liberty herself stood on their front lawn, the Ryries’ house draws suffering to it. Whether Cohen is saying that misery does indeed love company, or it is only by empathizing and witnessing the suffering of others that we can truly heal, she does so with a light pen. The Boston Book Fest is tomorrow! And like last year, I’m overwhelmed by the sessions I want to attend. I’ve more than procrastinated, and now I’m scrambling to figure out what will take priority. Last year, my favorite parts were the fiction open mic where Steve Almond gave quick feedback to aspiring writers who read aloud in front of the group, and Joyce Carol Oates’ keynote that closed out the day. A river? A prison? Money? Jennifer Egan says time’s a goon in her Pulitzer Prize-winning A Visit From the Goon Squad. Our times seem particularly trying, what with economic and political turmoil and major transformations to the very way we define ourselves. Egan’s novel, Peter Mountford‘s debut A Young Man’s Guide to Late Capitalism, and Lawrence Douglas‘s The Vices take in the recent past as well as the near future, and span Europe, the US, and South America as they reflect on our world. Moderated by Henriette Lazaridis Power, editor of The Drum. It’s your turn behind the microphone in this flash-fiction recording session. There’s no need to sign up ahead of time–just take a number when you arrive, and be ready to step up to the mic and read your very, very short story out loud for an eager audience. The Drum, an audio literary magazine, will be recording each story, choosing the best ones for publication in the magazine. Each piece must be no longer than three minutes, so rehearse! Emceed by Henriette Lazaridis Power, editor of The Drum. Authors whose spellbinding stories take place in New England read from their work. Holly LeCraw‘s searing debut novel, The Swimming Pool, is an intimate portrait of a family drama. British-born author James MacManus‘s beautifully crafted debut novel The Languages of the Sea brings Celtic myth to New England waters. Dawn Tripp, in her assured third novel Game of Secrets, weaves a tale of murder, romance, and family secrets in a small New England town. Hosted by Michelle Hoover, whose latest novel is The Quickening. Two talented debut authors and one local favorite read from their new works of fiction. The inimitable Steve Almond, author of My Life in Heavy Metal and Candyfreak, called “strangely endearing” by Publishers Weekly, will read from his latest, a short story collection titled God Bless America. Laura Harrington will read from Alice Bliss, her heartbreaking debut novel about a teenage girl whose father is deployed to Iraq. Michael Klein will read from Something for Nothing, his amusingly trenchant debut novel about the trials of a small town economics professor. Hosted by novelist and TV host Kim McLarin. True Story: Three wildly different amazing-but-true stories from masters of the craft. Memoir: Writing a Life: Hear from four memoirists whose styles range from poignant to hilarious. One City, One Story: This year’s story is Richard Russo’s “The Whore’s Child,” which I read on the train one morning on the way to work. A great story, but unfortunately this overlaps with the local talent readings, so I’ll have to miss it. What are your favorite sessions at book fests? Will I see you there tomorrow? Check out the Boston Book Festival 2011 entire schedule. Why am I here? In the past couple of years, with my ups and downs in this whole book blogging thing, I’ve wondered that, and I always come back to this: How can I not do this? This recording of reactions and critiques and rate-of-universe-shatter is the second half of the equation. Like people who press themselves on our hearts, a book that changes something in us cannot be returned to the library or donated to Goodwill. That book that burrows itself down into the nails and underneath the eyelids demands to be reconciled with everything else we know about ourselves. I read for forgiveness, for understanding myself and others, for seeing behind the curtain, that fourth wall afforded us by houses, cars, headphones. It is my way of meeting the 100 people I might never have met. So I have a soft spot for book lovers, for my company lying prostrate at the altar of language. One of my favorite bloggers has written her very own ode to words, and because I fear I can’t say it any better than this, I will just pass it on. Everything I needed to know, I learned through literature. I saw this guest post over at vintch today, and couldn’t help but share it. 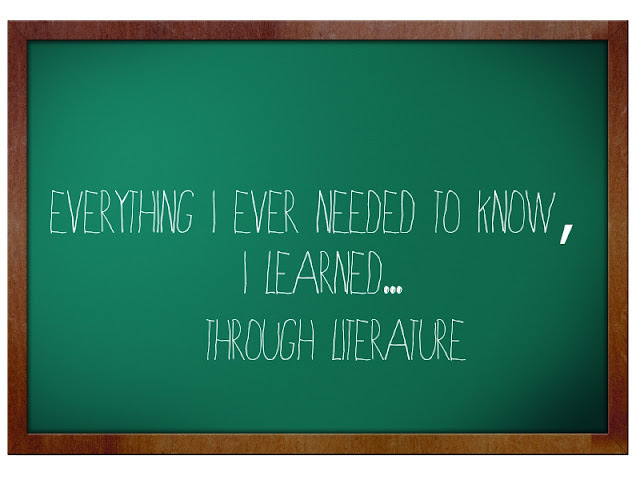 I love the idea of mapping out the specific things you learned from books over the years. I mean, it’s pretty much the goal of this little blog right here, but I’m working on a more specific list similar to Cara-Mia‘s. 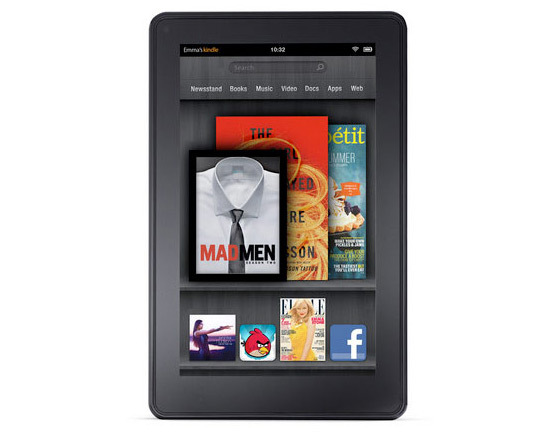 Check out the post and tell me, what books and lessons would be on your list? Happy Friday! One week from tomorrow is the Boston Book Fest! Will I see you there? Is there a difference between morbid & inspirational? Remembering that I’ll be dead soon is the most important tool I’ve ever encountered to help me make the big choices in life. Almost everything — all external expectations, all pride, all fear of embarrassment or failure — these things just fall away in the face of death, leaving only what is truly important. Remembering that you are going to die is the best way I know to avoid the trap of thinking you have something to lose. You are already naked. There is no reason not to follow your heart. 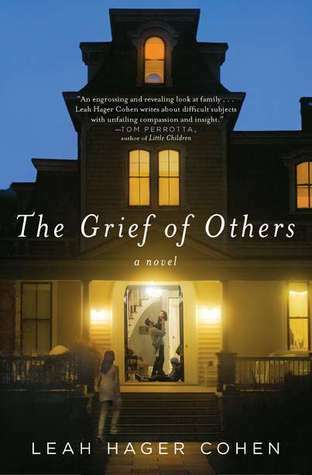 Lately my train rides have passed without complaint, thanks to Leah Hager Cohen’s The Grief of Others. I’ve managed to keep up my late night and I-wish-my-commute-was-longer reading sessions from Perrotta’s The Leftovers on into this next book. I’m a little over halfway through, and I anticipate having a review ready and up in the next couple weeks, but in the meantime I thought I’d drop a few tasty morsels that I jotted down hurriedly yesterday afternoon. The vast spearmint distance she felt between herself and everyone — everything — else was almost, she imagined, what royals must feel, and forevermore Ricky would link mourning with royalty, and royalty with mourning; for the rest of her days, the words king and queen would remind her of deep sorrow.